Average overall ratings - Based on 1771 reviews. The islands of the eternal spring, the archipelago Canary Islands, located in the Atlantic Ocean, form a part of Spain, although they are more closely situated to Africa. lies beneath the Atlantic Ocean. 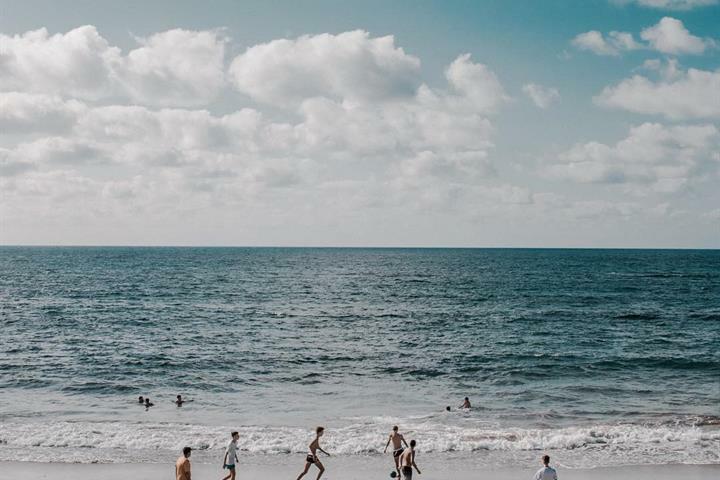 The all year sub-tropical climate, which is regulated by the Gulf Stream and Trade Winds, attracts thousands of visitors every year to the islands who come to enjoy the sun, sea, nightlife and hospitality of the Canarian people. However, it’s all too easy to arrive on your trip to the Canary Islands, plonk yourself on the beach and stay there without actually exploring all of the marvellous attractions that the islands have to offer. It is understood that the first people were of aboriginal and of northwest African origin, they were named Guanches. They were conquered by the Spanish over 500 years ago, but not without putting up a great fight. The island of Tenerife is the largest of the Canary archipelago and is known as the island of eternal spring because of its all year round excellent climate. The island is full of stark contrasts and has a great variety of scenery which varies through the regions. A mountain chain runs through its centre fro Anaga to Teno and on both of its slopes there are large, exuberantly fertile valleys, among them especially La Orotava and Gumar. snow covered in the winter and marks the island with its unique silhouette. The capital city is Santa Cruz de Tenerife, and the most popular holiday destinations include Playa de las Americas, Los Cristianos,, Puerto de la Cruz and Adeje. The island of Gran Canaria is situated in the centre of the Canary Island archipelago and is the third largest island after Tenerife and Fuerteventura. Its diversity of landscapes, magnificent beaches and friendly, laid-back atmosphere make Gran Canaria an ideal family holiday destination, anytime of the year. 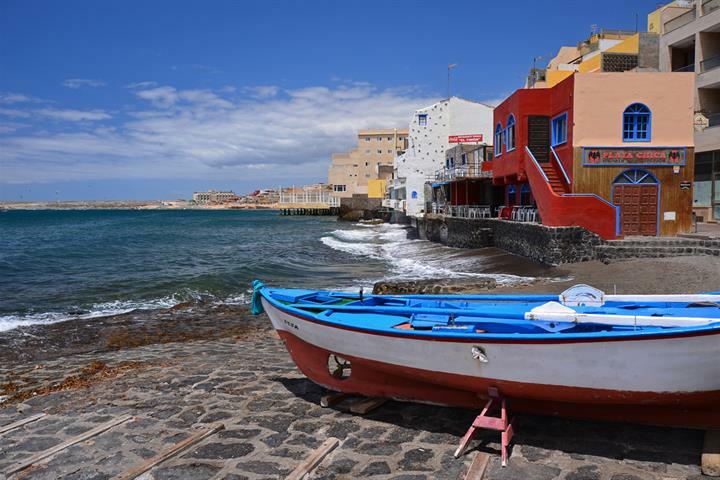 Las Palmas is the capital of the island and its main destination resorts are Puerto Rico, Maspalomas, with its beautiful sand dune nature reserve, Puerto de Mogan and Playa del Ingles. 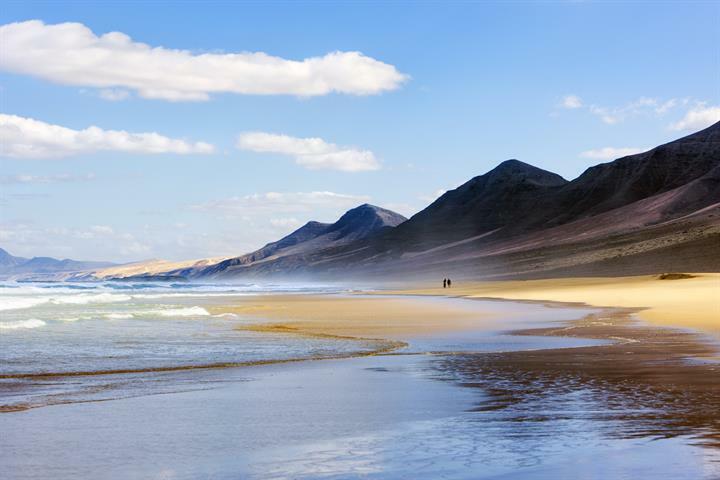 Lanzarote is situated just 70 miles off the coast of Africa, the most easterly of the Canary Islands and one of the smallest. 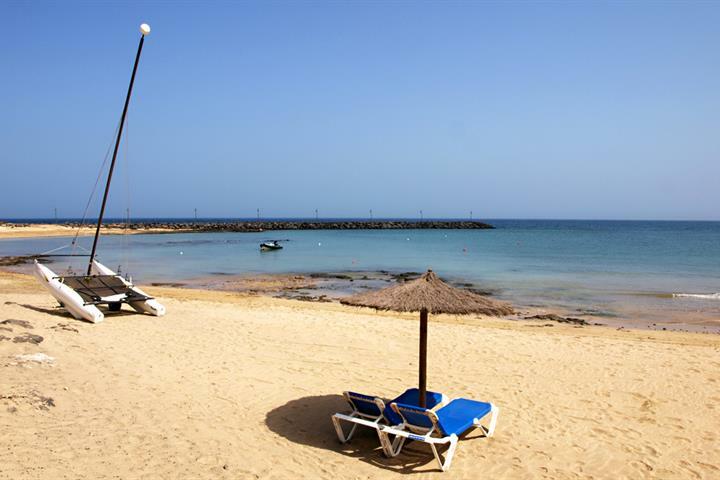 Arrecife is the capital of the island and the main destination resorts are Puerto del Carmen, Arrecife, Puerto Calero, Playa Blanca and Costa Teguise. La Palma is recognised as one of the most naturally beautiful and unspoilt of all the seven Canary Islands. 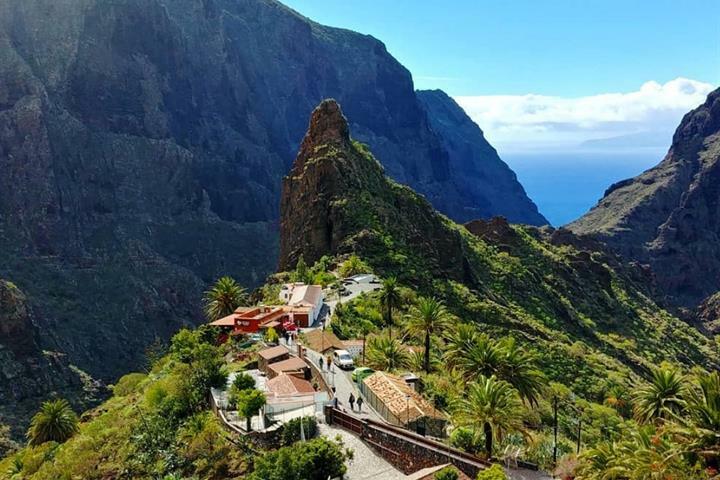 The development of tourism here has been strictly controlled and if you are after a typical package holiday scenario, with upbeat bars, McDonalds and English breakfast, then La Palma is not the destination for you. The island is popular for those seeking a rural tourism option, walking holidays, eco tourists, or those who just want to chill out in stunning natural surroundings. Don’t expect 365 days of sunshine here either, as La Palma is much more lush, green and considerably wetter! The island is made up three main touristic zones: Los Cancajos to the east, and Puerto Naos and Tazacorte to the west. 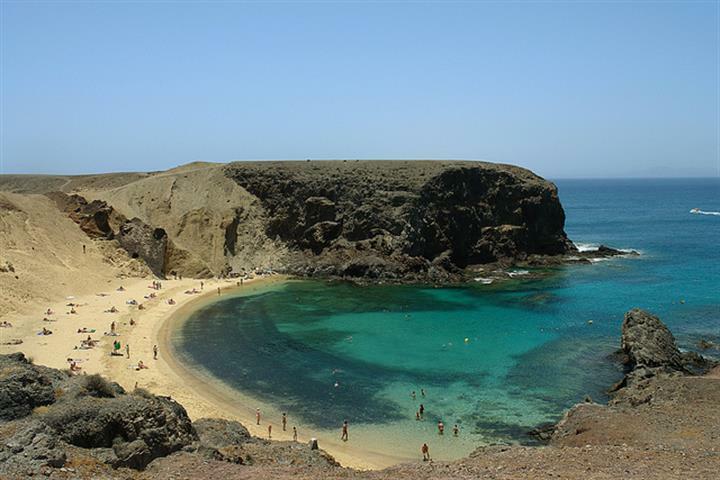 El Hierro is an eco tourist’s heaven and a paradise location for scuba divers. A biosphere reserve, the island hosts very little tourism, but if you want to escape from the humdrum of every day life and people, then El Hierro offers a wonderful option; a land of volcanoes, lava fields, lush valleys and dramatic cliffs which reach up to 1000m high. destinations, dense forests, deep ravines and a landscape that has been sculpted over millions of years. Much of the cuisine of the Canary Islands combines traditional Spanish fayre, with African and South American gastronomy. The volcanic roots of the island are also reflected in the dishes. The Canary Islands grape growing culture dates back centuries and the unique flavour that comes from the volcanic terrains is very special. There are many wine routes that can be explored throughout the islands, where you can discover the different vineyards and their denominations. The climate of the Canary Islands is mild, enjoying pleasant temperatures all year round. Average temperatures during the summer months average 26-28C; during the winter months the temperature rarely drops below 22 degrees, making it a perfect all year round destination. 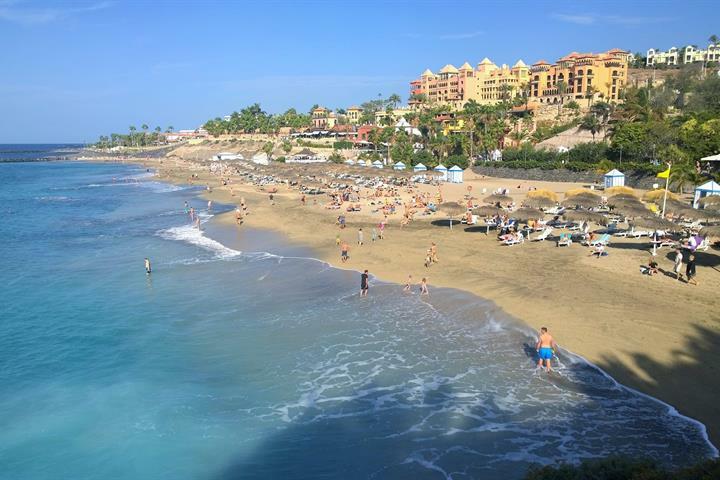 El Médano's popularity has been growing steadily, but Tenerife's water sports paradise has managed to maintain its original fishing village feel. Lanzarote is a great island for a holiday! 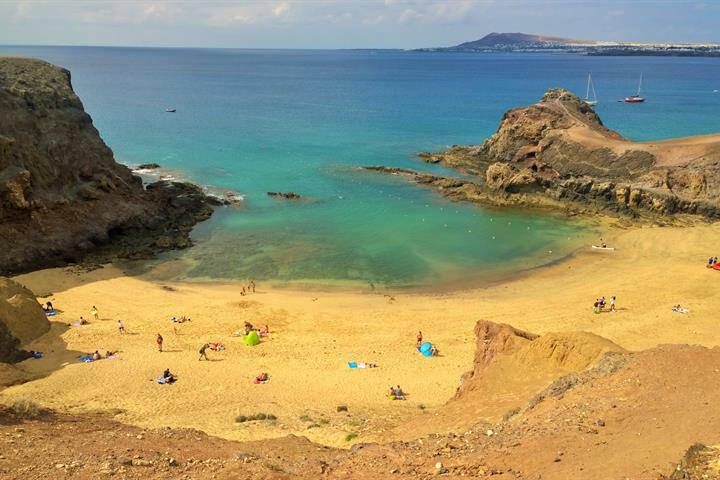 Discover the best places to stay in Lanzarote and enjoy a perfect trip to this warm, volcanic island. There is a massive range of accommodation in Tenerife to suit every kind of traveller. Here is your guide to the best places to stay in Tenerife.